This Inversa 2-way diverter diverts water flow between the shower head and shower arm. 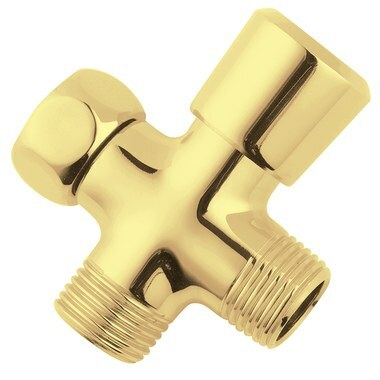 Designed for use with any 1/2" hose and handshower. Made of solid brass with 1/2" connections.